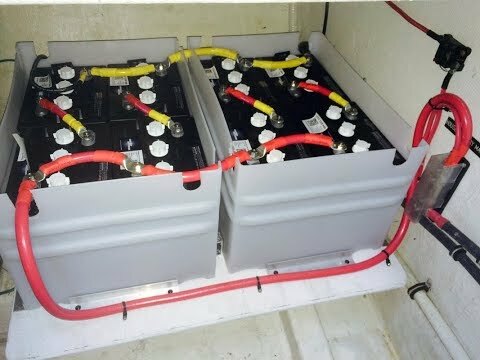 A rundown on battery types, battery sizes and the advantages of having AGM batteries on your vessel. 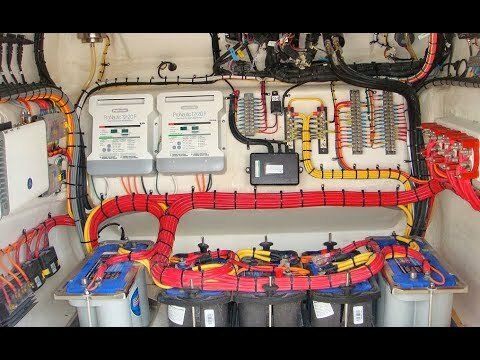 Batteries are one of the most important components of your boat’s electrical system. Therefore, it is important to understand the options you have available when selecting your batteries. The most common lead batteries on boats are either flooded or AGM (absorbed glass mat) batteries. You can tell the difference because most flooded batteries (deep cycle, for example) have caps on the top and require you to refill the water on a regular basis. AGM batteries are sealed and require little maintenance. Flooded batteries are built for a specific application. Starter batteries are designed to provide a high current for a short amount of time to start an engine. Deep cycle (commonly used in house applications) batteries are designed to provide a smaller amount of current over a longer period of time to power refrigeration, appliances, lights, electronics and more. Side by side, it is hard to tell starter and deep cycle batteries apart, since they often look identical. Sometimes the only way to tell the difference is to read the label. Dual-purpose flooded batteries provide a compromise between the starting and deep-cycle functions. 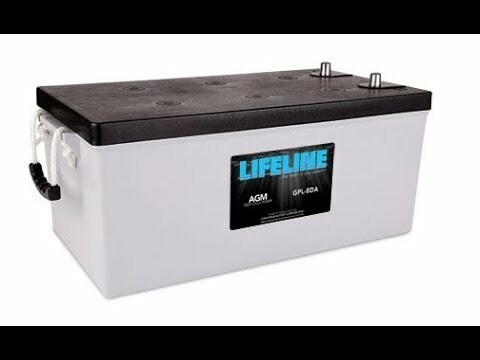 AGM batteries have many significant benefits over flooded batteries. • Low Maintenance AGM batteries are virtually maintenance-free whereas flooded batteries require that you check the fluid levels on a monthly basis and refill with distilled water to ensure they are not damaged. AGM never need to be topped-off. • Dual-Purpose by Nature AGM batteries are dual-purpose, therefore they are built to handle the starting and deep-cycle functions. 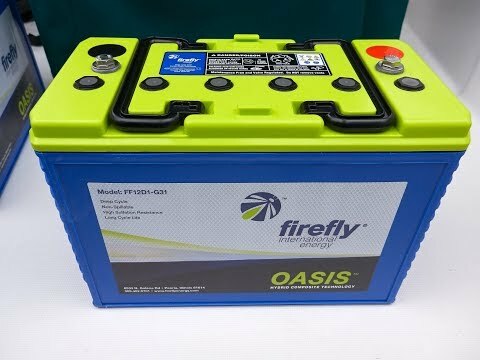 • Completely Sealed Since the electrolyte in AGM batteries is suspended in a fibreglass-like separator, it will not leak and there is virtually no gassing. This makes it possible to store an AGM battery in compartments where you could not store a flooded battery. As well, flooded batteries need clearance on top for maintenance and proper venting for the dangerous gases that can be produced. 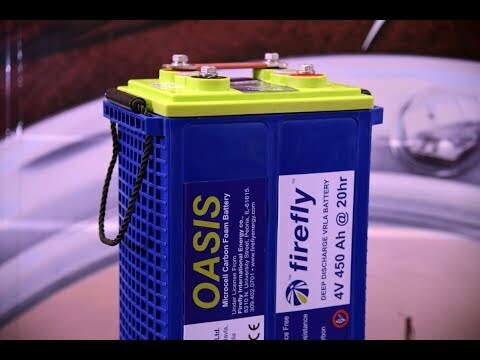 • Faster Charge Rate AGM batteries can accept a charge up to 40 percent of their amp hour rating while flooded batteries will only accept a charge up to 25 percent. This is good because it provides shorter charging times. • Longer Life When maintained properly, AGM batteries will provide 1.5 times the life of a flooded battery. 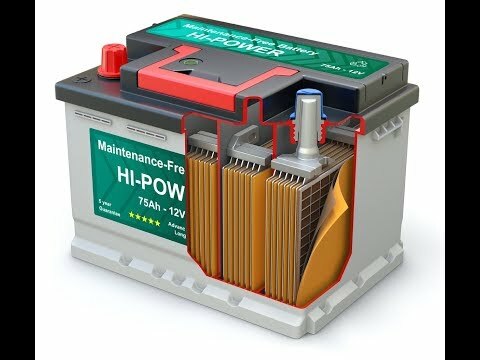 What Do You Need to Know about AGM batteries? AGM batteries are virtually maintenance-free, but there are a few tips to take note of so you can get the maximum out of your batteries. Tip #1 If you do not charge an AGM battery to its correct absorption voltage, it will fail prematurely. To prevent this from happening, you need to use a smart three-phase charger that has the correct absorption voltage set specifically for AGM batteries. Tip #2 If you have a large battery bank, do not assume that the default settings on your charger are sufficient—make sure they have the optimal settings for your battery size and type. Some chargers limit the absorption time and the batteries are not charged to 100 percent. Over time, this will gradually cause your AGM battery to lose its capacity. Tip #3 As long as you are regularly charging your AGM batteries with an AGM enabled smart charger, you do not need to change your alternator. Ideally, it is better to do so, but it is not essential as it is with Gel batteries. Gel batteries are often misconceived to be the same as AGM batteries, and often the two terms are interchanged. They are only similar in the fact that both are sealed-valve regulated batteries, but their make-up is different. Gel batteries are an improvement from flooded lead-acid batteries, but they require very specific charging requirements in order to provide their full benefits; therefore, they are less forgiving. AGM batteries appear to be the favourite choice so why doesn’t every boater use them? 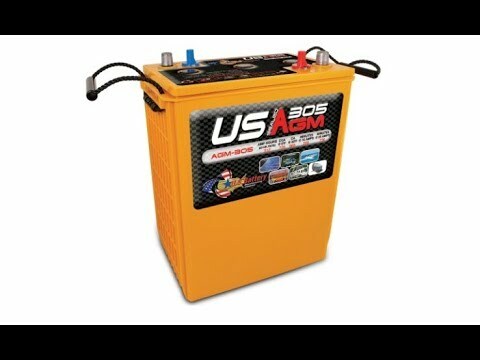 AGM batteries are typically about twice the cost of flooded lead acid batteries. It is a common boater’s dilemma that you’ll have to decide for yourself—is it worth spending twice as much money on AGM batteries knowing they will provide 1.5 more life plus all the added benefits? Battery manufacturers have agreed upon fixed battery dimensions—the most popular being Group 24, Group 27, Group 31, 4D, 8D and golf-carts. This universal sizing enables boat owners to purchase batteries from different manufacturers and not have to alter their battery box or compartment. Make sure you do not confuse battery size with battery type. Flooded, AGM and Gel batteries are available in a variety of sizes for different vessel requirements.